RIP Leston Havens, MD. You have been a great inspiration to me. I woke up this morning to learn the Leston Havens, MD passed away at age 86. Here is the obituary from the Boston Globe. His books and articles have been a great inspiration to me. His compassion and utterly human way of relating to his patients continues to be a guidepost in my daily work. Dr. Havens’ work exemplified HS Sullivan’s one genus hypothesis, as he demonstrated how to reach even the most apparently unreachable folks. The gentle manner he advocated in establishing contact with people who are terrified of closeness is something that I have tried to pass on to my supervisees and colleagues who are learning about working with people with psychosis. I am glad that I had the opportunity to hear Dr. Havens give the keynote address at the ISPS-US Annual Conference in Chicago in 2004. 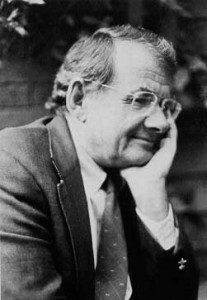 For more on the career of Dr. Havens, including list of journal articles and book chapters, visit http://lestonhavensmd.com/. Please share your thoughts, memories, experiences about Dr. Havens, please share them here with me.